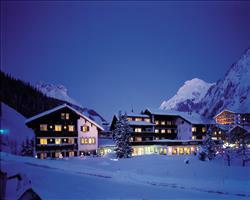 One of the most established hotels in Lech, the Tannbergerhof has all the essential ingredients for a great holiday. Located in the centre of the village, the hotel has the famous, and extremely popular, après ski Eisbar right outside, serving 'the world's best mulled wine' as voted by the Sunday Times. 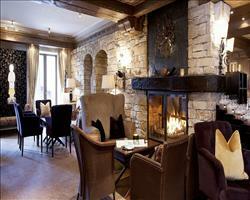 The hotel is also a wonderful place to relax after a long day on the slopes. 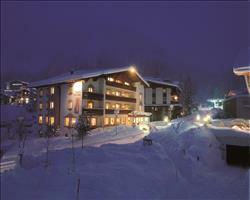 You can enjoy the wellness spa facilties on-site and guests also have use of an indoor pool at Chalet Hilde. An excellent menu in the highly regarded restaurant allows you to enjoy delicious cuisine in traditional Austrian surroundings. All rooms have a hairdryer, minibar, cable TV, bathrobes, internet link, safe and turndown service. Cots are available to hire, free of charge, upon request. Twin Room (22m²) - sleeps 2: Austrian twin beds, private bath or shower and WC. Superior Twin Room (28-32m²) - sleeps 2-4 (max 3 adults): Superior room with Austrian twin beds, extra double sofa bed, private bath or shower and WC. Suite (40-50m²) - sleeps 2-4 (max 3 adults): Austrian twin beds, separate living room with double sofa bed, private bath with shower attachment and WC. We update Hotel Tannbergerhof's details often, but facilities do change. e.g. some extras listed by the supplier as "free" or included might only be for the first time you use them, or for one time per party, then charged for further use. If any specific feature is essential to your holiday, make sure you ask us to confirm the details of it before you book your holiday. 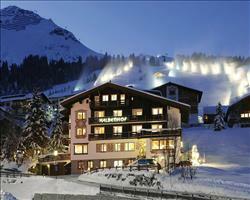 Lech lift pass price last reported as €235,00. Ask for a quote when booking Hotel Tannbergerhof.